Do you ever walk around and think about how many feet have touched the earth you’re stepping upon? …yeah, me neither. I mean ok, ok, sometimes I definitely do think about that. But not often enough. There are certainly times I also think about all the places my feet have wandered within just a week, which is always wild to reflect upon. This past weekend, I was reminded to take note of those who have roamed before me...thanks to a hole in a tree (more on that soon). 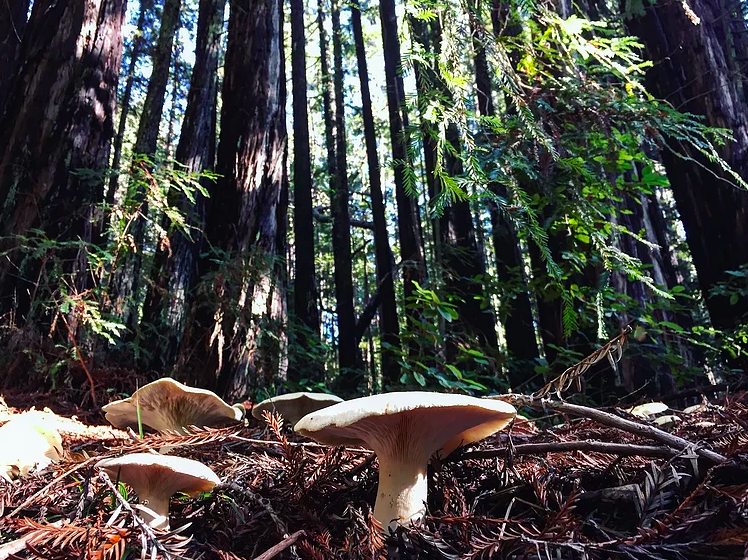 On a Saturday morning hike in the redwoods with Will, as my feet crunched among the soggy pines, I found my mind trailing into imaginative thoughts while I was entranced by the recent pop of mushrooms. Comparing the enormous size of mushroom tops to pancakes, pretending to mistake a certain kind of mushroom for an orange peel, and believing the plethora of teeny tiny mushrooms made the perfect lamp shades for all the forest faries (“shroom shades”)…well, I guess this all confirms going outside really does spark my creative energy, particularly after a week of rain. With the intention of just exploring the recent mushroom bloom, we decided to drift off the beaten path and wound up discovering another trail we had never ventured along before. As I was enamored by this itty bitty bouquet of mushrooms, Will called out to me from a distant tree where I could just barely make out his red jacket. As I got closer, he pointed upward; there was what appeared to be an abandoned tree house. He then told me to check out what was down below in the tree hollow. Within the hollow, there was a container. Within the container, there was a ziplock bag. 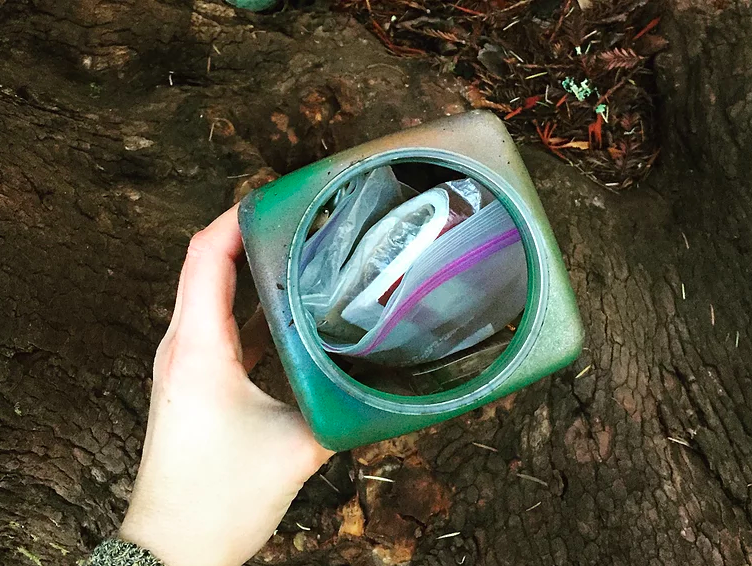 Within the ziplock bag, there was a log book. Within the log book, there were names and doodles dating back to 2010. So, not that long ago, but hey, to think of where I was the Spring of 2010: I was living a very different kind of life on the East coast. Not bad, but just very different from my lifestyle today. A lot happens in six years ya know?